What is the ear shape of the Scottish Straight kittens? Scottish cat breed. 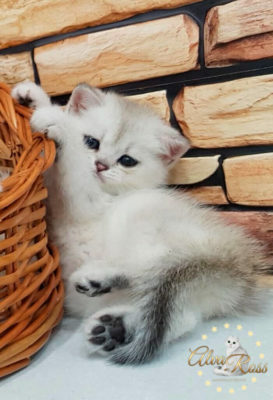 How much information has already been said? But at the same time, how much more information can be said? 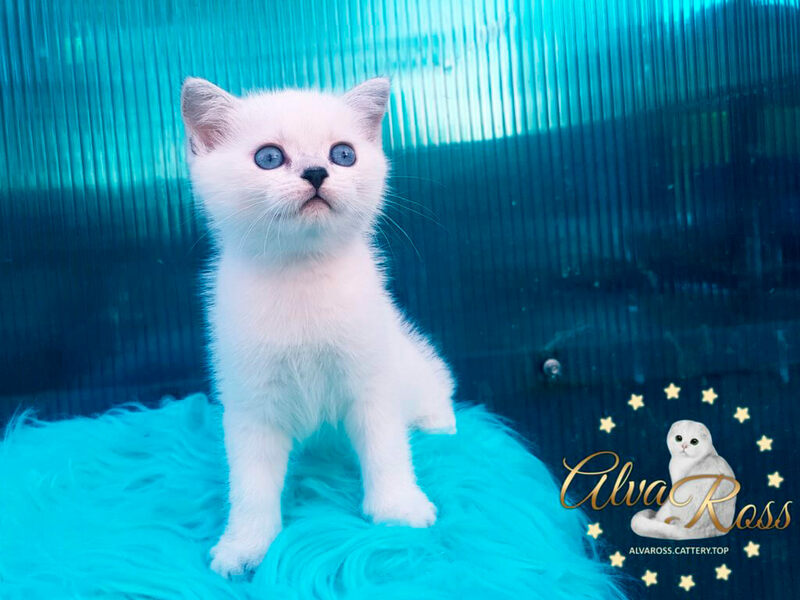 In other articles on our website you have already read that Scottish kittens can have different lengths of fur and many different colors. 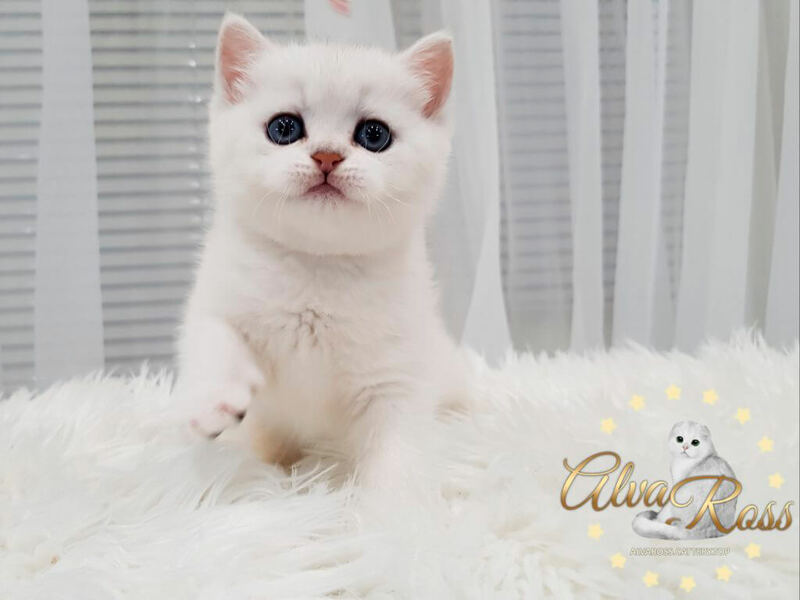 By type of fur, there are short-haired Scottish kittens (Scottish Fold and Scottish Straight) and long-haired Scottish kittens (Highland fold and Highland Straight). 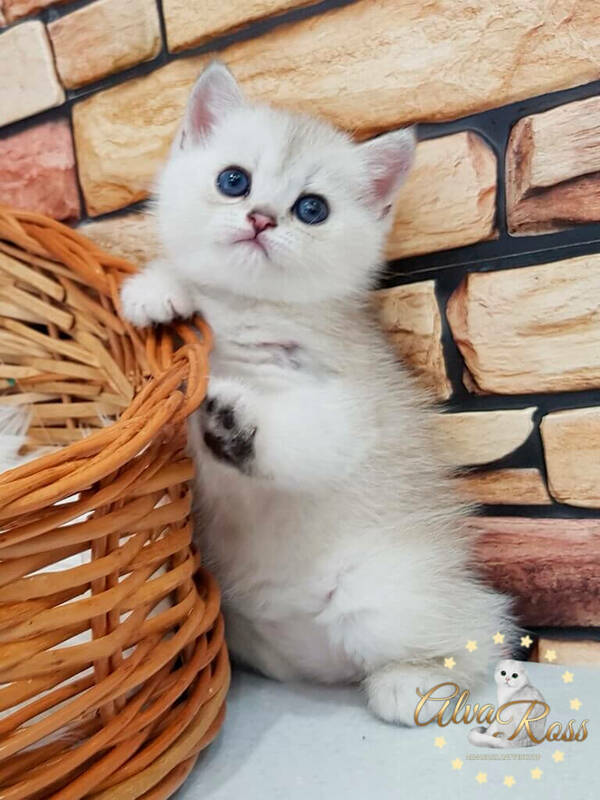 It will take a long time to describe the colors of kittens of this breed. 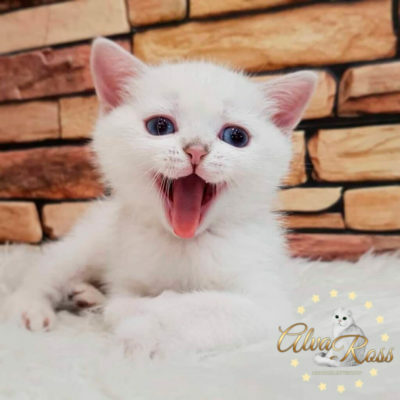 In this article we will touch on the question of what ears Scottish kittens and Scottish cats have! Historically, the goal of breeding a Scottish cat was to get kittens with folded ears. 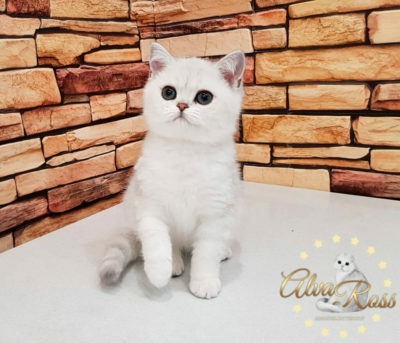 But, breeding work to obtain such kittens is not possible without straight-eared representatives of the Scottish breed of cats that do not have folds on the ears. What ears do Scottish Straight kittens have? 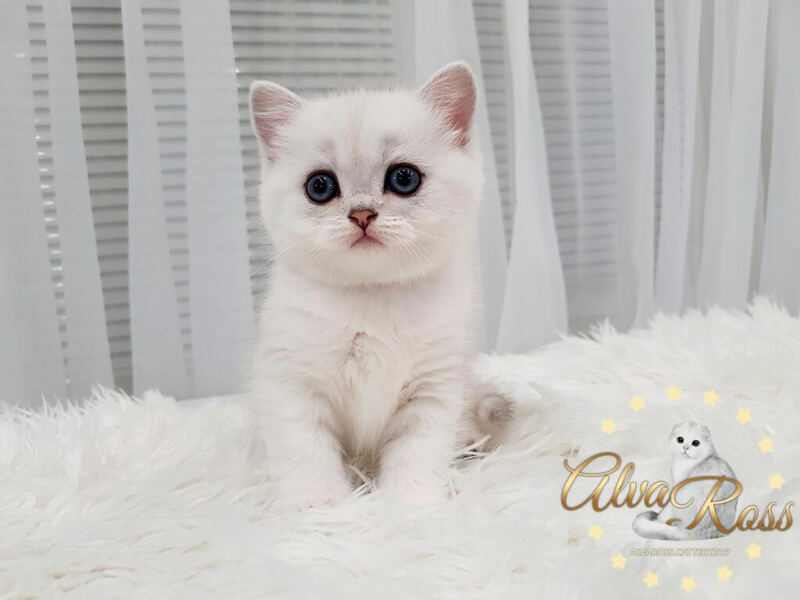 their ears are not folded forward and down like Scottish Fold kittens have. Scottish straight kittens have a variety of colors. The work of our cattery is directed to work on getting Scottish Straight kittens of these rare colors! 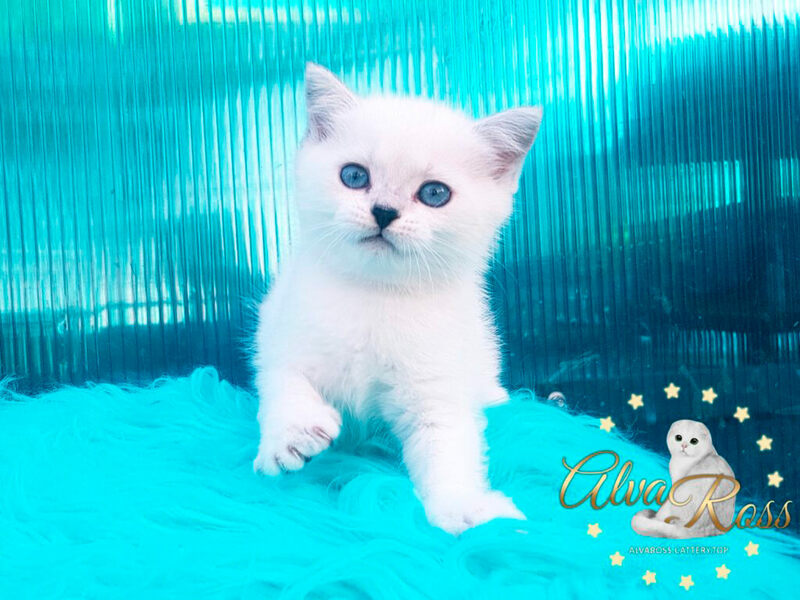 Photos of Scottish Straight kittens of chinchilla point colors from AlvaRoss. 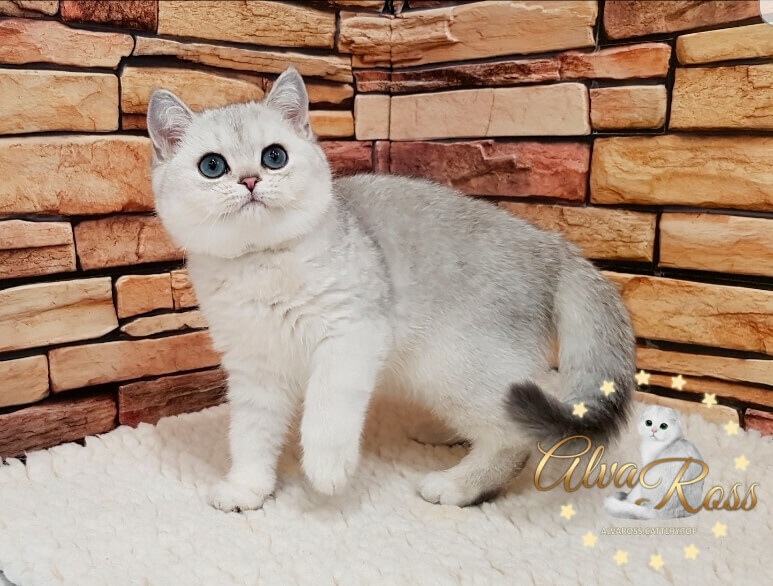 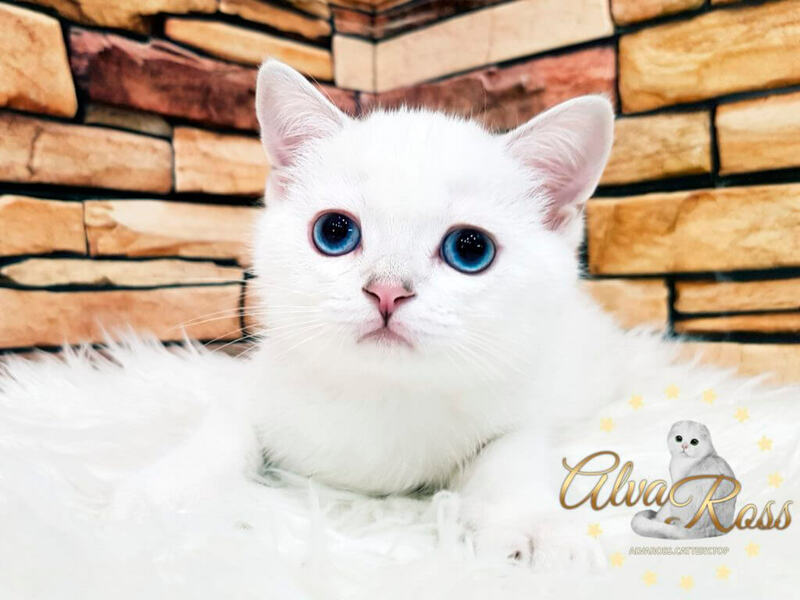 Photos of Scottish Straight kittens of chinchilla color from AlvaRoss.